The three acts tale of a black kid growing up with a druggie mother, turning into a teenager fellow kids bully, turning into an adult is - as can be totally expected - a really disturbing one. 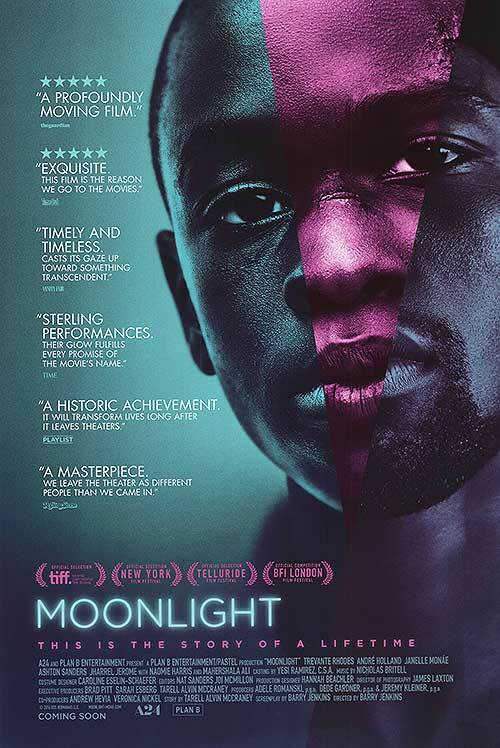 Moonlight is a tale of a segregated world in which black people grow under the influence of crime and, despite some good intentions to be found all around, have little in the way of an outlook to look forward to. If you can tolerate the handheld camera style you will be in for a treat in reality TV like story telling and acting.